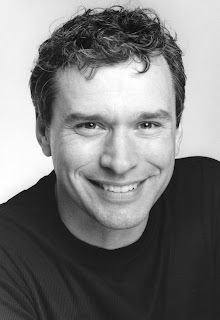 Keith Strunk is an actor, teacher, author, co-founder and Managing Director of River Union Stage, and a partner in Interlude Group LLC, a company specializing in training and development. Keith will present “Writing Dialog That Works” and “The Author as the Storyteller,” at the Write Stuff conference. Tori Bond interviewed Keith about how his acting experience impacts the way he writes and what writers can learn from an actor about writing and self promotion. For Keith’s full bio, click here. Tori Bond: As a writer who is also an actor, what do you feel is the biggest mistake writers make when writing dialog? What do actors know about writing scenes that writers often overlook? Keith Strunk: In a good script, every scene, every sentence, every word should drive the story forward. Because of this, an actor knows that they have to fully bring each and every word that the author gives them to life. The question is, how? The answer lives largely in one word – SPECIFIC. Every choice made in articulating the words of the author has to be specific. The worst possible direction an actor gets is, “you’re being too general.” For an actor, a scene, and the dialogue that drives it, being too general is the kiss of death. The biggest single mistake I see writers make in writing dialogue for any genre is not being specific regarding objective, point of view, and action. The hardest thing actors have to do is to take general, poorly written dialogue and make it sound real. I’ve found that books on screenwriting such as Screenplay: The Foundations of Screenwriting by Syd Fields or Story: Substance, Structure, Style and The Principles of Screenwriting by Robert McKee provide valuable insight on writing good dialogue regardless of genre. T: How does your experience and training as an actor impact the way you write? K: Actors have a passion for fully realizing a character within a story and breathing life into the words of the author. Our actor’s training gives craft to that passion and sets us free to explore and create living, breathing people from words on a page. The craft of creating characters lies at the heart of my process as writer. Characters fascinate me. Any story that I create starts with them. I tend to focus on who they are and what drives them well before the pieces of the story fall together. For me, the story evolves through the very real needs of the characters, which in turn, push the plot points of the story. I find that I tend to write dialogue scenes first and build out from there. Even Prallsville Mills and Stockton, my book that captures local oral history is driven by the colorful characters of the town as described in the stories told to me by the locals. T: In today’s publishing world, writers are required to do most or all of the marketing for their books, forcing them to be public personalities, or as you’ll be presenting at the conference, “Author as the Storyteller.” Many writers are shy introverted types. How can the shy writer begin to put themselves out there more comfortably? Do you have any tricks to help the author as storyteller calm their nerves during a public reading? K: We are, all of us, characters in our own right. We each have distinct aspects of our personality that either add to or detract from our “public persona” as authors and writers. If there is a “trick,” it’s in understanding how our audience or “public” perceives us and using the truthful aspects of ourselves to support that perception. There is comfort in knowing that the public interacts with a selective portion of ourselves that we choose to share. We feel less out of control when faced with an audience when we control the content of our “public persona.” In addition, having a clear sense of our own “story” – beginning, middle, and sequels – gives us more control of the public conversation about and perception of us as authors. As for nerves, we’ll discuss in the workshop why they are not only necessary, but essential for doing an effective public reading, presentation, or performance. T: You’ve been quoted in Writer’s Digest January 2011 article “Joining Forces” for being a successful Liar. In that article you stated that being a member of the Liar’s Club has given you clout with agents and editors. What can other writers glean from the Liars Club model to help them market their books and gain access to agents and editors? T: I’ve attended a Liars Club event which was informative and enjoyable for the audience, but the Liars looked like they were having fun too, while also promoting their books. What is the most enjoyable aspect of being a Liar? What is the most challenging part of book promotion? K: I think the most challenging part of book promotion can be summed up in three words, “The Long Haul.” All of us have attended or had events that are successful and fun. Promoting a book or yourself as an author is made up of ongoing events, signings, leading workshops (yep, I’m self-promoting), talks, book club appearances, interviews, conferences, panel discussions, etc, etc. It can be an exhausting and, at times, demoralizing long haul if you do it all on your own. Throw together some like-minded authors, with an optimistic view of the business (this is crucial), an irreverent sense of fun (also crucial), and the ability and drive to get things done, and “the long haul” is still long but the trip is a lot more fun and productive. As for “the most enjoyable aspect of being a Liar.” For me it’s the group’s ability to focus on what is possible in an unpredictable and sometimes impossible world. And the drinks and food, of course. T: What’s next for you? What writing projects are you working on? K: The emergence of eBooks as a viable path to publication is creating the same kind of energy as the independent film movement did 30 years ago. For that reason, I’m exploring publishing my illustrated children’s book, FF Manny Thing and Me, as an eBook. It’s beautifully illustrated by artist Barry Sharplin and a lot of fun to read out loud. My partner Laura Swanson and I are working on an adaptation of Shakespeare’s As You Like It for 4th and 5th grade students in River Union Stage’s outreach program (the real thing not watered down). Finally, I’m working on a YA novel set in a film noir/steampunk world. Acting, like so many of the creative arts, is simpatico with, related to, and impact a writer's talent. Loved this piece, Keith. By the way, your use of Shakespeare with children will, no doubt, change the lives of more than one of the kids. Dialgoue in my head plays out as if I am watching it live, in a movie or play. Learning one craft often means absorbing parts of others. Great interview! Thanks for visiting the blog. This was a fun interview to do and I loved Keith's responses. He really helps us writers think in new ways about the art and craft of writing. I too look forward to his sessions at the conference. Thanks Keith. Thanks for the shout out Kathryn.